Who loves peas? We do! So give peas a chance. 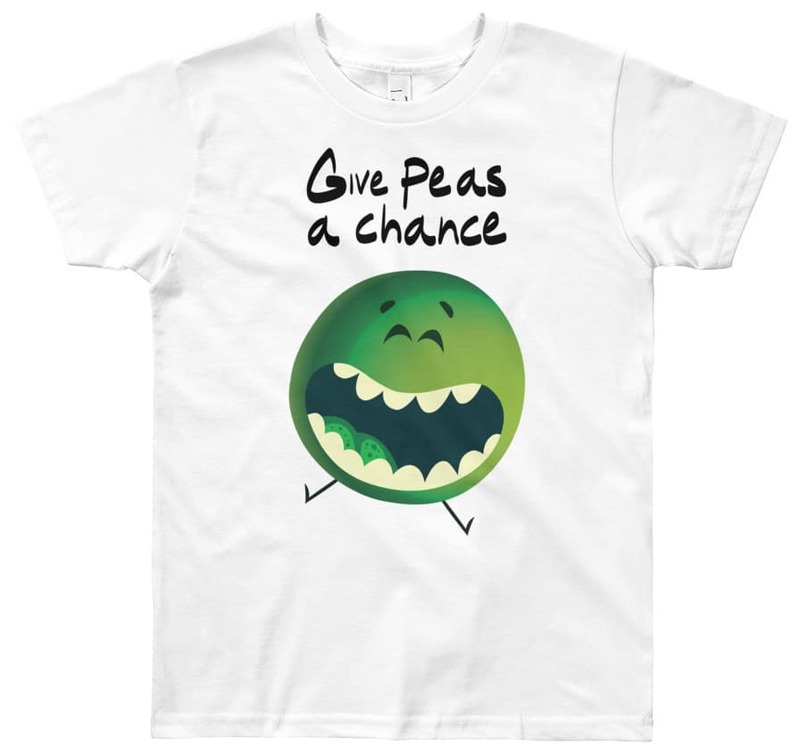 This cool designer kids tshirt by Squeaky Chimp displaying a pea with text saying “give peas a chance”. Make your kid loves peas! A super funny lightweight & comfortable youth short sleeve designer tee, made of 100% cotton.